Closeouts. All signs point to the mountains! 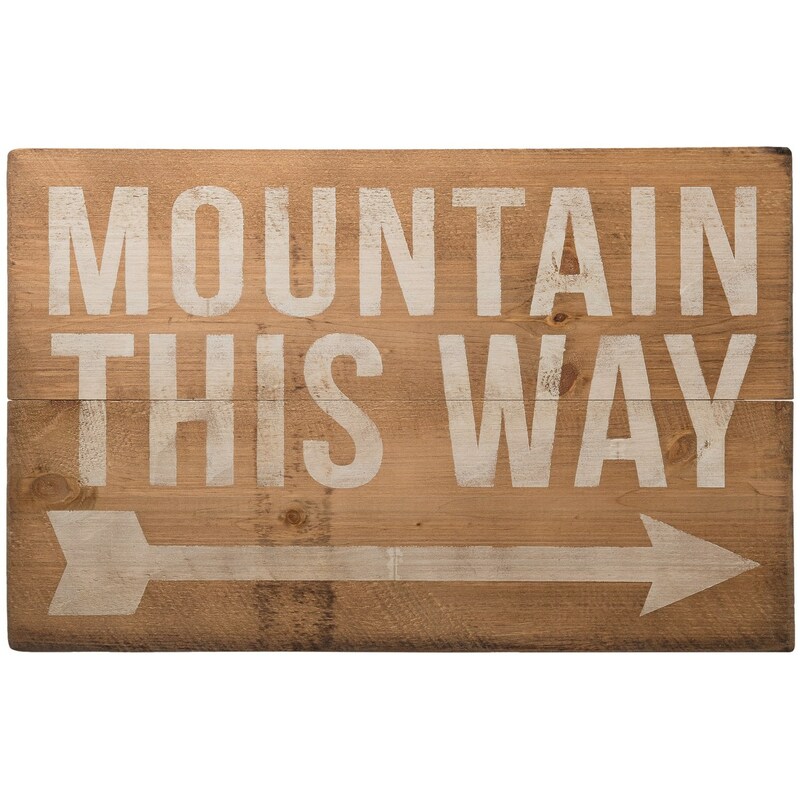 Well, this Seven Anchor Designs “Mountains This Way” arrow sign does, anyway. Made of raw wood with a painted graphic, it’s perfect for any space in your home.